After his family is killed by thieves, sole survivor Trey McAlister is taken in by a nearby Comanche clan. Trey has a gift for magic and the clan’s shaman, Singing Crow, makes him an apprentice. While learning to control his powers, Trey bonds with a young warrior and shape shifter, Gray Talon. When they are sent out on a quest to find the missing daughter of a dragon, they encounter the same bandits who murdered Trey’s family, as well as a man made of copper who drives Trey to dig deeper into the magics that created him. It doesn’t take them long to discover a rancher near Cheyenne, Wyoming is plotting to build a workforce of copper men—and has captured the dragon’s daughter they’ve been searching for. Trey and Gray Talon must draw on all their knowledge and skills to complete their quest—one that grows more complicated, and more dangerous, with each passing day. 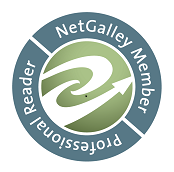 Let me start by saying thanks to Sandra for having me on her blog today as I go around talking about my new release "Native Wind". Sometimes we authors get ideas that we have to struggle to get out even though they keep hollering at us at the top of their little idea lungs. For me, "Native Wind" was one of those stories. I had a simple idea of doing a story where the Native Americans were the good guys and the cowboys were the bad guys. Then I sprinkled in some urban fantasy, making the Native Americans shape shifters. Having that bit of magic allowed me to make one of the characters a shaman's apprentice. Then the dragons appeared and I topped it off with a sprinkling of steampunk by adding steam-powered metal men controlled by an evil wizard. Think Clint Eastwood meets Dorothy, Gandolf, and Kitty Norville and you've got a broad idea what's happening in the book...sort of. 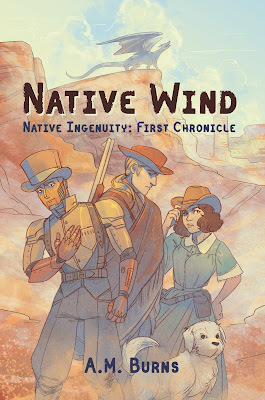 In my overly creative brain, the idea of steampunk in the Old West makes perfect sense, and since writing "Native Wind" I've done a few short stories that incorporate that same theme. But what I always thought was missing from the idea was magic, so I threw it in. It made things weird and fun. I used a few old tropes, the evil cattle baron, the hard hitting frontier woman, the orphan raised by Indians and gave them all updated twists just to make things that much more interesting. Stop in, spend some time around the campfire with Trey McAlister and Gray Talon as they try to complete their quest of finding the dragon's missing daughter and in the process stop the bad guys before either of them pays the ultimate price. Oh, and on top of everything Trey and Gray Talon are a couple. Two hardy young men who are very much in love. I can't write a book without having a gay couple in it somewhere. A.M. Burns lives in the Colorado Rockies with his partner, several dogs, cats, horses, and birds. When he’s not writing, he’s often fixing fences, splitting wood, hiking in the mountains, or flying his hawks. He’s enjoyed writing since he was in high school, but it wasn’t until the past few years that he’s begun truly honing his craft. 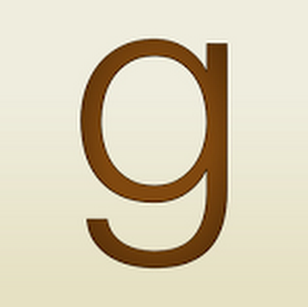 He is the current president of the Colorado Springs Fiction Writers Group: www.csfwg.org. Having lived both in Colorado and Texas, rugged frontier types and independent attitudes often show up in his work.